Bring your paintbrush to the tropics! Vibrant colors that expand your Colorations palette! Our most vibrant paint! 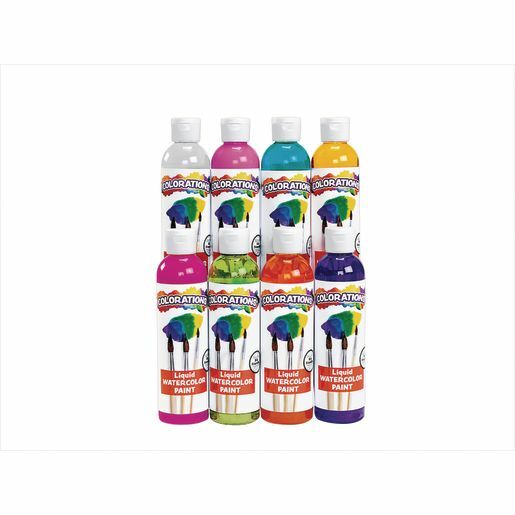 Longer-lasting and more colorful than traditional watercolors, Liquid Watercolor™ is the economical choice with so many uses. Plus, Liquid Watercolor™ is easily washable from skin and most fabrics and surfaces! Set of 8 tropical colors: fuchsia, gray, lime, peach, pink, purple, tangerine and teal. 8 oz each. 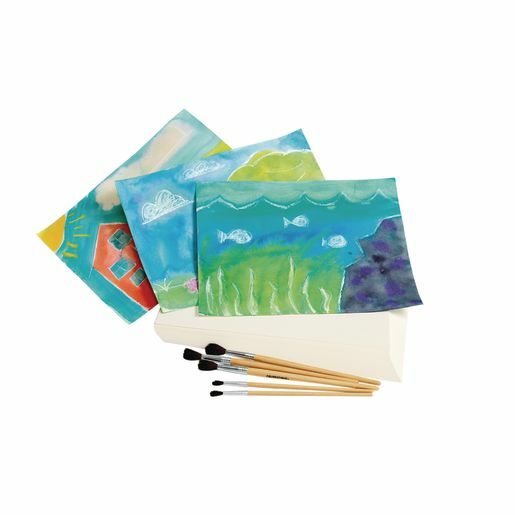 Why should you use Colorations® Liquid Watercolor Tropical colors as a part of your Arts & Crafts curriculum?